Geographisches Institut: Engel, Max, Dr.
Boesl, F., Engel, M., Eco, R.C., Galang, J.A., Gonzalo, L.A., Llanes, F., Quix, E., Brückner, H., 2019. Digital mapping of coastal boulders – High-resolution data acquisition to infer past and recent transport dynamics. Sedimentology, DOI: 10.1111/sed.12578. Weiberg, E., Bevan, A., Kouli, K., Katsianis, M., Woodbridge, J., Bonnier, A., Engel, M., Finné, M., Fyfe, R., Maniatis, Y., Palmisano, A., Panajiotidis, S., Roberts, N., Shennan, S., 2019. Long-term trends of land use and demography in Greece: a comparative study. The Holocene, DOI: 10.1177/0959683619826641. Brill, D., Reimann, T., Wallinga, J., May, S.M., Engel, M., Riedesel, S., Brückner, H., 2018. Are feldspar single-grains suitable for luminescence dating of late Holocene cyclone and tsunami deposits? Quaternary Geochronology 48, 91–103. DOI: 10.1016/j.quageo.2018.09.001. Engel, M., Klasen, N., Ginau, A., Patzke, M., Pint, A., Frenzel, P., Brückner, H., 2018. Palaeoenvironmental change at Tayma (NW Saudi Arabia) as inferred from sabkha infill. In: Hausleiter, A., Eichmann, R., al-Najem, M. (eds. ), Taymāʾ I: Archaeological Exploration, Palaeoenvironment, Cultural Contacts. Archaeopress, Oxford, pp. 61–84. Engel, M., Boesl, F., Brückner, H., 2018. Migration of barchan dunes in Qatar – controls of the Shamal, teleconnections, sea-level changes, and human impact. Geosciences 8, 240. DOI: 10.3390/geosciences8070240. Klasen, N., Engel, M., Brückner, H., 2018. Geoarchaeological research: Luminescence dating at the city wall. In: Eichmann, R., Hausleiter, A., al-Najem, M.H., al-Said, S.F. (eds. ), Tayma 2009 – 6th Report on the Joint Saudi Arabian – German archaeological project. ATLAL – Journal of Saudi Arabian Archaeology 25, 47–50. May, S.M., Gelhausen, H., Brill, D., Callow, N.,Engel, M., Opitz, S., Scheffers, A., Joannes-Boyau, R., Leopold, M., Brückner, H., 2018. Chenier-type ridges in Giralia Bay (Exmouth Gulf, Western Australia) - Processes, chronostratigraphy, and significance for recording past tropical cyclones. Marine Geology 396, 186–204. DOI: 10.1016/j.margeo.2017.03.005. Paris, R., Ramalho, R.S., Madeira, J., Ávila, S., May, S.M., Rixhon, G., Engel, M., Brückner, H., Herzog, M., Schukraft, G., Perez-Torrado, F.J., Rodriguez-Gonzalez, A., Carracedo, J.C., Giachetti, T., 2018. Mega-tsunami conglomerates and flank collapses of ocean island volcanoes. Marine Geology 395, 168-187. DOI: 10.1016/j.margeo.2017.10.004. Parker, A.G., Armitage, S.J., Engel, M., Morley, M.W., Parton, A., Preston, G.W., Russ, H., 2018. Geomorphology, Geoarchaeology and Palaeoenvironments. In: Drechsler, P. (ed. ), Dosariyah – An Arabian Neolithic Coastal Community in the Central Gulf. Archaeopress, Oxford, pp. 21–55. Rixhon, G., May, S.M., Engel, M., Mechernich, S., Schroeder-Ritzrau, A., Fohlmeister, J., Frank, N., Boulvain, F., Dunai, T., Brückner, H., 2018. Multiple dating approach (14C, 230Th/U and 36Cl) of tsunami-transported reef-top megaclasts on Bonaire (Leeward Antilles) - current research and future challenges. Marine Geology 396, 100–113. DOI: 10.1016/j.margeo.2017.03.007. Scheder, J., Engel, M., Bungenstock, F., Pint, A., Siegmüller, A., Schwank, S., Brückner, H., 2018. Fossil bog soils ('dwog' horizons) and their relation to Holocene coastal changes in the Jade-Weser Region. Journal of Coastal Conservation 22, 51–69. DOI: 10.1007/s11852-017-0502-z. Brill, D., May, S.M., Shah-Hosseini, M., Rufer, D., Schmidt, C., Engel, M., 2017. Luminescence dating of cyclone-induced wahover fans at Point Lefroy (NW Australia) - Establishing robust chronologies for heterogeneous and discontinuous sediment archives. Quaternary Geochronology 41, 134–150. DOI: 10/1016/j.quageo.2017.03.004. Hausleiter, A., Eichmann, R., al-Najem, M.H., al-Said, S.F., Brückner, H., Engel, M., Grottker, M., Hanisch-Gräfe, H., Heemeier, B., Intilia, A., Lora, S., Tourtet, F., 2017. Tayma 2008 – 5th Report on the Joint Saudi Arabian-German archaeological project. ATLAL – Journal of Saudi Arabian Archaeology 24, 31–78. May, S.M., Brill, D., Leopold, M., Callow, N., Engel, M., Scheffers, A., Opitz, S., Norpoth, M., Brückner, H., 2017. Chronostratigraphy and geomorphology of washover fans in the Exmouth Gulf (NW Australia) - A record of tropical cyclone activity during the late Holocene. Quaternary Science Reviews 169, 65-84. DOI: 10.1016/j.quascirev.2017.05.23. Oetjen, J., Engel, M., Brückner, H., Pudasaini, S.P., Schüttrumpf, H., 2017. Enhanced field observation-based physical and numerical modelling of tsunami-induced boulder transport. Phase I: Physical experiments. Coastal Engineering Proceedings 35, management4. DOI: 10.9753/icce.v35.management4. Pint, A., Engel, M., Melzer, S., Frenzel, P., Plessen, B., Brückner, H., 2017. How to discriminate athalassic and marginal marine microfaunas? Foraminifera and other fossils from an early Holocene continental lake in northern Saudi Arabia. Journal of Foraminiferal Research 47, 175-187. DOI: 10.2113/gsjfr.47.2.175. Drechsler, P., Engel, M., Brill, D., Gerber, C., 2016. The Asaila depression, an archaeological landscape in Qatar. Proceedings of the Seminar for Arabian Studies 46, 98-106. Engel, M., Jacobson, K., Boldt, K., Frenzel, P., Katsonopoulou, D., Soter, S., Alvarez Zarikian, C.A., Brückner, H., 2016. New sediment cores reveal environmental changes driven by tectonic processes at ancient Helike, Greece. Geoarchaeology 31, 140-155. DOI: 10.1002/gea.21540. May, S.M., Falvard, S., Norpoth, M., Pint, A., Brill, D., Engel, M., Scheffers, A., Dierick, M., Paris, R., Squire, P., Brückner, H., 2016. A mid-Holocene candidate tsunami deposit from the NW Cape (Western Australia). Sedimentary Geology 332, 40-50. DOI: 10.1016/j.sedgeo.2015.11.010. Engel, M., Kindler, P., Godefroid, F., 2015. Speculations on Superstorms - Interactive comment on "Ice melt, sea level rise and superstorms: evidence from palaeoclimate data climate modeling, and modern observations that 2 °C global warming is highly dangerous" by J. Hansen et al. Atmospheric Chemistry and Physics Discussions 15, C6270-C6281. Engel, M., May, S.M., Scheffers, A., Squire, P., Pint, A., Kelletat, D., Brückner, H., 2015. Prograded foredunes of Western Australia's macro-tidal coast – implications for Holocene sea-level change and high-energy wave impacts. Earth Surface Processes and Landforms 40, 726-740. DOI: 10.1002/esp.3663. Howard, A.J., Kluiving, S.J., Engel, M., Heyvaert, V.M.A., 2015. Geoarchaeological records in temperate European river valleys: quantifying the resource, assessing its potential and managing its future. Quaternary International 367, 42-50. DOI: 10.1016/j.quaint.2014.05.003. Kluiving, S.J., Engel, M., Heyvaert, V.H.A., Howard, A.J., 2015. Where earth scientists meet Cleopatra: geoarchaeology and geoprospection of ancient landscapes. Quaternary International 367, 1-3. DOI: 10.1016/j.quaint.2015.02.054. May, S.M., Brill, D., Engel, M., Scheffers, A., Opitz, S., Wennrich, V., Squire, P., Kelletat, D., Brückner, H., 2015. Traces of historical tropical cyclones and tsunamis in the Ashburton Delta (NW Australia). Sedimentology 62, 1546-1572. DOI: 10.1111/sed.12192. May, S.M., Engel, M., Brill, D., Cuadra, C., Lagmay, A.M.F., Santiago, J., Suarez, J.K., Reyes, M., Brückner, H., 2015. Block and boulder transport in Eastern Samar Philippines during Supertyphoon Haiyan. Earth Surface Dynamics 3, 543-558. DOI: 10.5194/esurf-3-543-2015. Reyes, M., Engel, M., May, S.M., Brill, D., Brückner, H., 2015. Life and death after Super Typhoon Haiyan. Coral Reefs 34, 419. DOI: 10.1007/s00338-015-1259-1015-1259-1 . Engel, M., Brückner, H., 2014. Late Quaternary environments and societies: progress in geoarchaeology. Zeitschrift für Geomorphologie N.F. 58 (Suppl. 2), 1-6. DOI: 10.1127/0372-8854/2014/S-00168. Engel, M., Brückner, H., 2014. The South Qatar Survey Project (SQSP) - Preliminary findings on Holocene coastal changes and geoarchaeological archives. Zeitschrift für Orient-Archäologie 7, 290-301. Engel, M., Brückner, H., Scheffers, A., May, S.M., Kelletat, D., 2014. Holocene sea levels of Bonaire (Leeward Antilles) and tectonic implications. Zeitschrift für Geomorphologie N.F. 58 (Suppl. 1), 159-178. DOI: 10.1127/0372-8854/2012/S-00111. Engel, M., Brill, D., May, S.M., Reyes, M., Brückner, H., 2014. Philippinen: "Haiyans" Erbe. Geographische Rundschau 66 (6), 54-57. Gerber, C. in cooperation with Drechsler, P., Yasin-Meier, D., Brückner, H., Engel, M., Meier, D.M.P., Götzelt, T., Daitche, J., Hörwarthner, D., Lienig, A., Reising, R., Tiltmann, S., 2014. The German-Qatari South Qatar Survey Project: The 2012-2013 Season. Zeitschrift für Orient-Archäologie 7, 248-275. Scheffers, A.M., Engel, M., May, S.M., Scheffers, S.R., Joannes-Boyau, R., Hänßler, E., Kennedy, K., Kelletat, D., Brückner, H., Vött, A., Schellmann, G., Schäbitz, F., Radtke, U., Sommer, B., Willershäuser, T., Felis, T., 2014. Potential and limits of combining studies of coarse and fine-grained sediments for the coastal event history of a Caribbean carbonate environment. In: Martini, I.P., Wanless, H.R. (eds. ), Sedimentary Coastal Zones from High to Low Latitudes: Similarities and Differences. Geological Society, London, Special Publication 388, 503-531. DOI: 10.1144/SP388.4. Brückner, H., Engel, M., Klasen, N., Ginau, A., Pint, A., Frenzel, P., Eichmann, R., Hausleiter, A., al-Najem, M.H., al-Said, S.F., 2013. Late Quaternary environmental change and geochronology at Tayma, NW Saudi Arabia – current research. In: Al-Ansary, A.R., Al-Muaikel, K.I., Alsharekh, A.M. (eds. ), Man and Environment in the Arab World in Light of Archaeological Discoveries. Adumatu, Abdul Rahman Al-Sudairy Foundation, Riyadh, pp. 53-58. May, S.M., Engel, M., Brill, D., Squire, P., Scheffers, A., Kelletat, D., 2013. Coastal hazards from tropical cyclones and extratropical winter storms based on Holocene storm chronologies. In: Finkl, C. (ed. ), Coastal Hazards. Springer, Coastal Research Library 6, 557-585. DOI: 10.1007/978-94-007-5234-4_20. Engel, M., 2012. The chronology of prehistoric high-energy wave events (tropical cyclones, tsunamis) in the southern Caribbean and their impact on coastal geo-ecosystems – a case study from Bonaire (Leeward Antilles). Dissertation, Universität zu Köln. Engel, M., Brückner, H., 2012. A stratigraphic transect from the old town of Tayma across the sabkha. In: Eichmann, R., Hausleiter, A., al-Najem, M.H., al-Said, S.F. (eds. ), Tayma 2007 - 4th Report on the Joint Saudi Arabian - German Archaeological Project. ATLAL - Journal of Saudi Arabian Archaeology 22, 73-79. Engel, M., May, S.M., 2012. Bonaire's boulder fields revisited: Evidence for Holocene tsunami impact on the Leeward Antilles. Quaternary Science Reviews 54, 126-141. DOI: 10.1016/j.quascirev.2011.12.011. Engel, M., Brückner, H., Kiderlen, M., Knipping, M., Kraft, J.C., 2012. Geoarchaeological research at Akovitika - reconstructing Early Bronze Age and Early Iron Age landscapes of the southwestern Peloponnese. In: Katsonopoulou, D. (ed. ), Ancient Helike and Aigialeia: Protohelladika. The Southern and Central Greek mainland: Proceedings of the fourth international conference (Helike IV), Nikolaiika, Diakopton, Greece, 1-3 September 2007, pp. 137-158. Engel, M., Brückner, H., Meßenzehl, K., 2012. Naturraum der Arabischen Halbinsel. In: Franke, U., Gierlich, J. (eds. ), Ausstellungskatalog "Roads of Arabia - Archäologische Schätze aus Saudi-Arabien", Pergamonmuseum, Staatliche Museen zu Berlin. Wasmuth-Verlag, 33-42. Engel, M., Brückner, H., Pint, A., Wellbrock, K., Ginau, A., Voss, P., Grottker, M., Klasen, N., Frenzel, P., 2012. The early Holocene humid period in NW Saudi Arabia - evidence from sediments, microfossils and palaeo-hydrological modeling. Quaternary International 266, 131-141. DOI: 10.1016/j.quaint.2011.04.028. Ginau, A., Engel, M., Brückner, H., 2012. Holocene chemical precipitates in the continental sabkha of Tayma (NW Saudi Arabia). Journal of Arid Environments 84, 26-37. DOI: 10.1016/j.jaridenv.2012.03.020. Scheffers, A., Engel, M., Squire, P., Kelletat, D., Scheffers, S., 2012. Beach ridge systems - archives for Holocene coastal events? Progress in Physical Geography 36, 5-37. DOI: 10.1177/0309133311419549. Engel, M., Brückner, H., 2011. The identification of palaeo-tsunami deposits - a major challenge in coastal sedimentary research. In: Karius, V., Hadler, H., Deicke, M., von Eynatten, H., Brückner, H., Vött, A. (eds. ), Dynamische Küsten - Grundlagen, Zusammenhänge und Auswirkungen im Spiegel angewandter Küstenforschung. Proceedings of the 28th Annual Meeting of the German Working Group on Geography of Oceans and Coasts, 22-25 Apr 2010, Hallig Hooge. Coastline Reports 17, 65-80. Engel, M., Brückner, H., Bosch, J., 2011. Geoarchaeological research at Tayma. In: Eichmann, R., Hausleiter, A., al-Najem, M.H., al-Said, S.F. (eds. ), Tayma - Autumn 2005 and 2006 (spring and autumn) - 3rd Report on the Joint Saudi Arabian - German archaeological project. ATLAL - Journal of Saudi Arabian Archaeology 21, 61-77. Klasen, N., Engel, M., Brückner, H., Eichmann, R., Hausleiter, A., Intilia, A., al-Najem, M.H., al-Said, S.F., 2011. Optically stimulated luminescence dating of the city wall system of Tayma (NW Saudi Arabia). Journal of Archaeological Science 38, 1818-1826. DOI: 10.1016/j.jas.2011.03.018. Engel, M., 2010. Spezialuntersuchungen: Geoarchäologie. In: Kiderlen, M., Themelis, P. (eds. ), Das Poseidonheiligtums bei Akovitika in Messenien: Struktur und Entwicklungszusammenhang eines regionalen Zentrums. Ergebnisse der Notgrabung 1969 und der Prospektion 2005. Reichert, Wiesbaden, pp. 37-57; pp. 173-192. Engel, M. Brückner, H., 2010. Rekonstruktion der Landschaftsentwicklung; Geoarchäologie (Development of the Natural Environment of the Sanctuary; Geoarchaeology). In: Kiderlen, M., Themelis, P. (eds. ), Das Poseidonheiligtums bei Akovitika in Messenien: Struktur und Entwicklungszusammenhang eines regionalen Zentrums. Ergebnisse der Notgrabung 1969 und der Prospektion 2005. Reichert, Wiesbaden, pp. 13-17; pp. 162-171. Engel, M., Brückner, H., Wennrich, V., Scheffers, A., Kelletat, D., Vött, A., Schäbitz, F., Daut, G., Willershäuser, T., May, S.M., 2010. Coastal stratigraphies of eastern Bonaire (Netherlands Antilles): new insights into the palaeo-tsunami history of the southern Caribbean. Sedimentary Geology 231, 14-30. DOI: 10.1016/j.sedgeo.2010.08.002. Kiderlen, M., Engel, M., 2010. Verkehrslage (Traffic Situation). In: Kiderlen, M., Themelis, P. (eds. ), Das Poseidonheiligtums bei Akovitika in Messenien: Struktur und Entwicklungszusammenhang eines regionalen Zentrums. Ergebnisse der Notgrabung 1969 und der Prospektion 2005. Reichert, Wiesbaden, pp. 17-18. Engel, M., Bolten, A., Brückner, H., Daut, G., Kelletat, D., Schäbitz, F., Scheffers, A., Scheffers, S.R., Vött, A., Wille, M., Willershäuser, T., 2009. Reading the chapter of extreme wave events in nearshore geo-bio-archives of Bonaire (Netherlands Antilles) - initial results from Lagun and Boka Bartol. Marburger Geographische Schriften 145, 157-178. Engel, M., Knipping, M., Brückner, H., Kiderlen, M., Kraft, J.C., 2009. Reconstructing middle to late Holocene palaeogeographies of the lower Messenian plain (southwestern Peloponnese, Greece): coastline migration, vegetation history, and sea level change. Palaeogeography, Palaeoclimatology, Palaeoecology 284, 257-270. DOI: 10.1016/j.palaeo.2009.10.005. Scheffers, A., Kelletat, D., Engel, M., 2009. Die Entwicklung der Tsunamiforschung nach der Katastrophe vom 26.12.2004. Geographische Rundschau 61 (12), 12-18. Brückner, H. Engel, M., Kiderlen, M., 2007. Geoarchäologische Studie über das Poseidon-Heiligtum von Akovitika in Messenien. Archäologischer Anzeiger 2006/1, 189-202. Engel, M., Brückner, H., Kiderlen, M., Kraft, J.C., 2006. Built near the sea, buried by the river: The Poseidon Sanctuary of Akovitika. Forschungszentrum Terramare Berichte 16, 83-86. Kluiving, S.J., Engel, M., Heyvaert, V.M.A., Howard, A.J., eds., 2015. Where Earth Scientists Meet Cleopatra: Geoarchaeology and Geoprospection of Ancient Landscapes. Quaternary International 367, 122 pp. Engel, M., Brückner, H., eds., 2014. Geoarchaeology - Exploring terrestrial archives for evidence of human interaction with the environment. Zeitschrift für Geomorphologie N.F. 58 (Suppl. 2), 139 pp. --> see also book review by A.J. Howard (2015) in Quaternary Science Reviews 122, 300. 31 May-02 June: Archaeohydrology of Oases and Cities - International Conference and Workshop, FU & DAI Berlin: Invited panelist. 17-22 Apr 2016: European Geoscience Union (EGU) General Assembly, Vienna: Tsunami-induced boulder transport - combining physical experiments and numerical modelling (J. Oetjen,M. Engel, S.P. Pudasaini, S.M. May, H. Schüttrumpf, H. Brückner). (i) Boulder transport in Eastern Samar Philippines during Typhoon Yolanda raises new challenges in the interpretation of coastal coarse-clast deposits (M. Engel, S.M. May, D. Brill, A.M.F. Lagmay, C. Cuadra, J. Santiago, J.K. Suarez, M. Reyes, H. Brückner). 15-19 Dec 2014: AGU Fall Meeting, San Francisco, USA: Historical Tropical Cyclones and the 1883 Krakatoa Tsunami Inferred from Geological Archives of the Ashburton Delta (NW Australia) (S.M. May, D. Brill, M. Engel, A. Scheffers, A. Pint, V. Wennrich, P. Squire, D. Kelletat, H. Brückner). 10 Dec 2014: Public lecture, CIEE Research Station Bonaire (Dutch Antilles): Tsunami research on Bonaire (M. Engel, J. Oetjen, S.M. May). (I) Circumlittoral sediment records from Bonaire (Leeward Antilles) provide insights into the Holocene tsunami history of the southern Caribbean (M. Engel, A. Scheffers, S.M. May, P. Frenzel, S. Fürstenberg, D. Kelletat, V. Wennrich, H. Brückner). (II) Historical and prehistorical tropical cyclones and tsunamis inferred from washover records in NW Australia (S.M. May, D. Brill, M. Engel, A. Scheffers, M. Leopold, A. Pint, H. Brückner). (I) Evolution of foredune barriers at Admiral Bay, Western Australia - Implications for Holocene relative sea levels and extreme wave events (M. Engel, S.M. May, A. Scheffers, P. Squire, A. Pint, D. Kelletat, H. Brückner). Geophysical Research Abstracts 16, EGU2014-15353. (II) Potential and limits of luminescence dating for establishing late-Holocene cyclone and tsunami chronologies (D. Brill, S.M. May, K. Jankaew, M. Engel, H. Brückner). Geophysical Research Abstracts 16, EGU2014-12519. 01 July 2013: Geoscience Colloquium of the Institute of Geosciences, Friedrich-Schiller-Universität Jena, and the Thuringia State Office of Environment and Geology: Die Rolle der Sedimente im Tsunamigefahrenmanagement (M. Engel). (I) Late Quaternary changes in sea level and coastal environments of southern Qatar - Introducing a new research project (M. Engel, H. Brückner). 19-22 Mar 2013: 62nd Annual Meeting of the Geological Society of America Southeastern Section, San Juan, Puerto Rico: Tsunamis on the ABC Islands – discrepancies between the historical record and geological archives (M. Engel, H. Brückner, A. Scheffers, P. Frenzel, S. Fürstenberg, D. Kelletat, S.M. May, V. Wennrich). Geological Society of America Abstracts with Programs 45(2), 25-10. (I) Early to Mid-Holocene climate of northern Arabia as inferred from the oasis of Tayma (M. Engel, H. Brückner, K. Wellbrock, A. Pint, M. Grottker, P. Voss, A. Ginau, N. Klasen, P. Frenzel). (II) Washover deposits and landforms along the coast of Western Australia – preliminary findings and their potential for palaeotempestological research (S.M. May, H. Brückner, M. Engel, A. Pint, A. Scheffers, D. Kelletat, P. Squire). 31 Aug 2012: 24th Annual Meeting of the German Working Group on Natural Hazards, Bonn: Tsunamis in the southern Caribbean – discrepancies between the historical record and geological archives (M. Engel, H. Brückner, S.M. May, A. Scheffers, P. Frenzel, S. Fürstenberg, K. Meßenzehl, A.M. Konopczak, D. Kelletat, G. Daut, V. Wennrich, F. Schäbitz, T. Willershäuser, A. Vött). 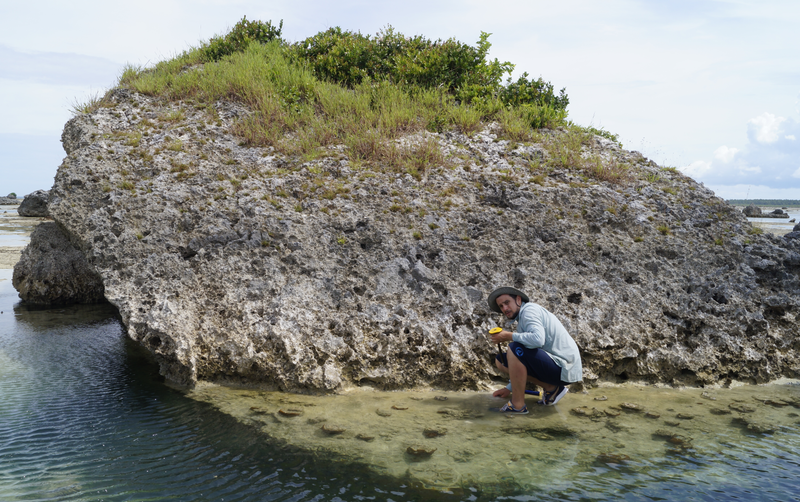 (I) Dating tsunami-induced transport of coral reef megaclasts on Bonaire (Leeward Antilles): a cosmogenic nuclide dating approach (36Cl) (G. Rixhon, H. Brückner, M. Engel, S.M. May, T. Dunai). (II) Ostracoda and Foraminifera in Coastal Research (A. Pint, P. Frenzel, H. Brückner, T. Daniel, M. Engel, S. Fürstenberg, D. Kelterbaum, H. Schneider, C. Trog). (III) The potential of different overwash deposits for palaeotempestological research – preliminary findings from Western Australia (S.M. May, H. Brückner, M. Engel, D. Kelletat, A. Scheffers, P. Squire, A. Pint). 26-29 Apr 2012: 30th Annual Meeting of the German Working Group on Geography of Oceans and Coasts, Mainz: Blocks and boulders on Bonaire: What they tell us and what they don't(M. Engel, S.M. May, H. Brückner). 28 Nov - 03 Dec 2011: 2nd joint IGCP 588: ' Preparing for Coastal Change' and INQUA 1001: ' Quaternary coastal change and records of extreme marine inundation on coastal environments' meeting in Bangkok, Thailand: Prehistoric tsunamis in the Caribbean – new data from Washington Slagbaai National Park, Bonaire, and a first tentative basinwide synthesis(M. Engel, H. Brückner, S.M. May, A. Scheffers, P. Frenzel, S. Fürstenberg, A.M. Konopczak, K. Meßenzehl, D. Kelletat, V. Wennrich, S. Scheffers, G. Daut, F. Schäbitz). 28 Sep - 01 Oct: 37th Annual Meeting of the German Working Group on Geomorphology, Leipzig: Subsurface washover deposits on Bonaire (Leeward Antilles) - tsunamis or tropical cyclones? (M. Engel, H. Brückner, P. Frenzel, V. Wennrich, S.M. May, A.M. Konopczak, K. Meßenzehl, T. Willershäuser, A. Scheffers, S. Scheffers, D. Kelletat, A. Vött, G. Daut, F. Schäbitz). 15 Jul 2011: Summer festival of the Geoverbund ABC/J: Naturrisiken und Geoarchäologie - Fallbeispiele aus der Karibik und Saudi-Arabien (M. Engel). 04-05 Feb 2011: Annual Meeting of the Working Group "Desert Margins Research", Rauischholzhausen: Sedimentary inventory and processes in the continental sabkha of Tayma (NW Saudi Arabia) (A. Ginau, M. Engel, H. Brückner). 10-13 Oct 2010: GeoDarmstadt 2010: Coastal stratigraphies of Bonaire (Netherlands Antilles): New insights into the palaeo-tsunami history of the southern Caribbean (M. Engel, H. Brückner, K. Meßenzehl, A. Konopczak, A. Scheffers, S. Scheffers, D. Kelletat, F. Schäbitz, A. Vött, T. Willershäuser, S.M. May, V. Wennrich, G. Daut, P. Frenzel). Schriftenreihe der Deutschen Gesellschaft für Geowissenschaften 68, 160-161. 19-21 Sep 2010: International Colloquium on Geoarchaeology (Landscape Archaeology - Egypt and the Mediterranean World), Cairo (Egypt): Mid- to late Holocene expansion of Eastern Mediterranean coastal plains - The Akovitika case study (M. Engel, H. Brückner, M. Knipping, J.C. Kraft, M. Kiderlen). 22-25 Apr 2010: 28th Annual Meeting of the German Working Group on Geography of Oceans and Coasts, Hallig Hooge: The interpretation of high-energy wave deposits - recent progress and challenges (M. Engel, H. Brückner). 10-16 Apr 2010: 3rd International Tsunami Field Symposium, Sendai (Japan): Current field data on pre-Columbian tsunamis in the Southern Caribbean (M. Engel, H. Brückner, D. Kelletat, A. Scheffers, A. Vött). 01-05 Nov 2009: 2nd International Symposium & Field Workshop on Living with Landscapes, Damanhour, Marsah Matruh and Siwa (Egypt): Late Quaternary palaeoenvironmental change in NW Saudi Arabia - the Tayma case study (M. Engel, H. Brückner, N. Klasen, M. Dinies, R. Eichmann, A. Hausleiter, M.H. al-Najem, S.F. al-Said). 30 Apr - 02 May 2009: International Meeting "Geoarchaeology in Central Europe", Dresden: Scenarios of landscape change in the environs of the Poseidon Sanctuary of Akovitika (SW Peloponnese) (M. Engel, H. Brückner, M. Kiderlen, J.C. Kraft, M. Knipping). 02 Feb 2009: Public lecture, CIEE Research Station Bonaire (Dutch Antilles): The coastline of Bonaire during the recent geologic past (M. Engel). 21-28 Sep 2008: 2nd International Tsunami Field Symposium, Ostuni - Puglia (Italy) and Lefkada (Ionian Islands, Greece): Traces of Holocene extreme wave events in sediment traps along the coast of Bonaire (Netherlands Antilles) (M. Engel, H. Brückner, D. Kelletat, F. Schäbitz, A. Scheffers, A. Vött, V. Wennrich, M. Wille, T. Willershäuser). 07-08 Jul 2008: New Research at Tayma, Annual Workshop 2008, DAI Berlin: Tayma aus landschaftshistorischer und geoarchäologischer Sicht - ein Zwischenbericht (M. Engel, J. Bosch, H. Brückner, M. Dinies, A. Ginau, N. Klasen). 25-27 Apr 2008: 26th Annual Meeting of the German Working Group on Geography of Oceans and Coasts, Marburg: Reading the chapter of extreme wave events in nearshore geo-bio-archives of Bonaire (Netherlands Antilles) - first results (M. Engel, H. Brückner, D. Kelletat, F. Schäbitz, A. Scheffers, A. Vött, M. Wille, T. Willershäuser). 21 Jan 2008: Public lecture, CIEE Research Station Bonaire (Dutch Antilles): Bonaire in the focus of worldwide research on extreme wave events (D. Kelletat, A. Scheffers, M. Engel, F. Schäbitz). 25-26 Jun 2007: New Research at Tayma, Annual Workshop 2007, DAI Berlin: Geoarchäologie von Tayma: Neue Forschungen und Perspektiven (J. Bosch, M. Engel, H. Brückner). 26-28 Apr 2007: 25th Annual Meeting of the German Working Group on Geography of Oceans and Coasts, Hamburg: Environmental change of a coastal site in the SW Peloponnese: man-environment interactions in the Makaria (M. Engel, H. Brückner, M. Kiderlen, M. Knipping, J.C. Kraft). 01-06 Oct 2015: German Congress of Geography incl. 41st Annual Meeting of the German Working Group on Geomorphology, Humboldt-Universität Berlin. (i) Coastal evolution and facies successions in a hyperarid environment – Initial results from the sabkha of Al-Zareq, Gulf of Salwa (Qatar) (M. Engel, C.J. Strohmenger, K.T. Peis, A. Pint, H. Brückner). (ii) Palaeotsunami deposits combined with hydrodynamic model simulations support coastal hazard assessment on Bonaire (Leeward Antilles) (M. Engel, J. Oetjen, S.M. May, T. Wöffler, H. Schüttrumpf, H. Brückner). (iii) Fossil bog soils (dwog horizons) and their relation to Holocene coastal changes (J. Scheder, F. Bungenstock, M. Engel, H. Brückner). 06-09 May 2015: 32nd Annual Meeting of the German Working Group on Geography of Oceans and Coasts, Hamburg: Microfaunal investigations in the Weser marshland - Holocene coastal changes at the German North Sea coast (J. Scheder, A. Pint, F. Bungenstock, M. Engel, A. Siegmüller, S. Schwank, H. Brückner). (i) Numerical modelling of tsunami scenarios for the island of Bonaire Leeward Antilles (J. Oetjen, M. Engel, C. Effkemann, S.M. May, S.P. Pudasaini, T. Wöffler, V. Aizinger, H. Schüttrumpf, H. Brückner). (ii) A mid-Holocene event layer inferred from sediment archives along the NW Cape (Western Australia) - tsunami or tropical cyclone? (S.M. May, M. Norpoth, D. Brill, M. Engel, A. Pint, A. Scheffers, P. Squire, H. Brückner). 15-19 Dec 2014: AGU Fall Meeting, San Francisco, USA:Supertyphoon Haiyan (7-9 Nov 2013) on Samar (Philippines) Moved the Largest Boulders ever documented for a Recent Storm (M. Engel, S.M. May, D. Brill, M. Reyes, H. Brückner). (I) New perspectives on Holocene landscape changes based on a sediment record from the oasis of Tayma (NW Saudi Arabia) (M. Engel, A. Pint, B. Plessen, P. Frenzel, S. Melzer, H. Brückner). (I) Holocene relative sea levels of Bonaire (Leeward Antilles) - Evidence from circumlittoral sediment traps (M. Engel, S.M. May, H. Brückner). Geophysical Research Abstracts 16, EGU2014-15387. (II) Tracing historical tropical cyclones and the 1883 Krakatoa tsunami in short-lived geological archives of the Ashburton Delta (NW Australia) (S.M. May, D. Brill, M. Engel, A. Scheffers, A. Pint, V. Wennrich, P. Squire, D. Kelletat, H. Brückner). Geophysical Research Abstracts 16, EGU2014-15141. 02-04 Apr 2014: Green Arabia - Human Prehistory at the Crossroads of Continents, St. John's College, Oxford: From grasslands to desert: early to mid-Holocene vegetation and climate history of the Tayma region, NW Saudi Arabia, based on a palaeo-lake record (M. Dinies, B. Plessen, R. Neef, M. Engel, A. Pint, P. Frenzel, H. Kürschner, H. Brückner). (I) Dislocation of tsunami blocks on Bonaire (Leeward Antilles): Difficulties for exposure age dating of corals (M. Engel, G. Rixhon, T. Dunai, S.A. Binnie, S.M. May, H. Brückner). (II) Hochauflösende Korngrößenuntersuchungen zur Charakterisierung von Eventlagen in Sedimenten von Noord Salina, Bonaire (S. Eichfuss, M. Engel, H. Brückner). (I) Holocene environmental change at the oasis of Tayma (M. Engel, H. Brückner, K. Wellbrock, A. Pint, M. Grottker, P. Voss, A. Ginau, N. Klasen, P. Frenzel). Geophysical Research Abstracts 15, EGU2013-11042. (II) Can cosmogenic nuclides (36Cl) unravel the timing of dislocation of tsunami blocks on Bonaire (Leeward Antilles)? (M. Engel, G. Rixhon, H. Brückner, S.M. May, S.A. Binnie, T. Dunai). Geophysical Research Abstracts 15, EGU2013-817. (III) Geomorphological and sedimentological characteristics of cyclone-generated landforms and washover deposits along the coasts of NW Australia (S.M. May, M. Engel, H. Brückner, A. Pint, D. Kelletat, A. Scheffers, P. Squire). Geophysical Research Abstracts 15, EGU2013-11571. 19-22 Mar 2013: 62nd Annual Meeting of the Geological Society of America Southeastern Section, San Juan, Puerto Rico: Dislocation of tsunami blocks on Bonaire (Leeward Antilles) dated by cosmogenic nuclides (36Cl) (M. Engel, G. Rixhon, H. Brückner, S.M. May, S.A. Binnie, T. Dunai). Geological Society of America Abstracts with Programs 45(2), 33-1. 11-13 Oct 2012: 38th Annual Meeting of the German Working Group on Geomorphology, Freising: Revisiting boulder fields on Bonaire (Leeward Antilles) (M. Engel, S.M. May, H. Brückner). 24-29 Sep 2012: Centenary Meeting of the Paläontologische Gesellschaft, Museum für Naturkunde Berlin: Test malformations in Holocene and recent Foraminifera from athalassic and marginal marine environments as an indicator for extreme environmental conditions (A. Pint, P. Frenzel, M. Engel, H. Brückner). Terra Nostra 2012/3, 134. 26-29 Apr 2012: 30th Annual Meeting of the German Working Group on Geography of Oceans and Coasts, Mainz: Overwash deposits as palaeotempestological archives – preliminary findings from Onslow and the North West Cape area, Western Australia (S.M. May, H. Brückner, A. Scheffers, A. Pint, M. Engel, P. Squire, D. Kelletat). 22-27 Apr 2012: European Geoscience Union (EGU) General Assembly, Vienna: Revisiting boulder fields on Bonaire (Leeward Antilles) (M. Engel, S.M. May, H. Brückner). Geophysical Research Abstracts 14, EGU2012-854. 28 Sep - 01 Oct: 37th Annual Meeting of the German Working Group on Geomorphology, Leipzig: Late Quaternary environments of Tayma (NW Saudi Arabia) (M. Engel, H. Brückner, A. Pint, A. Ginau, N. Klasen, P. Frenzel, A. Hausleiter, R. Eichmann). 25-28 Jul 2011: 7th European Ostracodologists' Meeting, Graz, Austria: Sieve-pore analyses of Cyprideis torosa (Jones, 1850) of three archaeological sites in Saudi Arabia (A. Pint, I. Behrendt, H. Brückner, M. Engel, P. Frenzel, A. Ginau, N. Klasen, T. Rosenberg, A. Schwalb). Joannea - Geologie und Paläontologie 11, 161-162. (I) Subsurface washover deposits on Bonaire (Leeward Antilles) - tsunamis or tropical cyclones? (M. Engel, H. Brückner, P. Frenzel, V. Wennrich, A.M. Konopczak, K. Meßenzehl, T. Willershäuser, S.M. May, A. Scheffers, S. Scheffers, D. Kelletat, A. Vött, G. Daut, F. Schäbitz). Quaternary International 279-280, 131. (II) Holocene environments and climates of the NW Arabian Peninsula as recorded in the sabkha basin of Tayma (M. Engel, H. Brückner, A. Pint, N. Klasen, A. Hausleiter, R. Eichmann, M.H. Al-Najem, S.F. Al-Said, P. Frenzel, A. Ginau). Quaternary International 279-280, 131. (III) An enhanced empirical dataset for estimating wave-induced boulder transport at Spelonk, Bonaire (Netherlands Antilles) (S.M. May, M. Engel, H. Brückner). Quaternary International 279-280, 315. (I) Ecosystem changes as a result of extreme wave events – the example of Boka Bartol, Bonaire (Dutch Antilles) (A.M. Konopczak, M. Engel, H. Brückner, G. Daut). 13-17 Dec 2010: AGU Fall Meeting 2010, San Francisco (USA): Palaeo-tsunami in the southern Caribbean: clarity through new geological archives? (M. Engel, H. Brückner, K. Meßenzehl, P. Frenzel, V. Wennrich, S.M. May, G. Daut, T. Willershäuser, A. Scheffers, S. Scheffers, A. Vött, D. Kelletat). Eos Transactions AGU, Fall Meeting Suppl., Abstract OS31D-1452. 07-09 Oct 2010: 3rd Mitteldeutscher Archäologentag, Halle (Saale): Marine Faunenelemente als Paläomilieuindikatoren für neolithische Sedimente eines athalassischen Brackwassersees in der Oase Tayma, Saudi-Arabien (A. Pint, H. Brückner, M. Engel, P. Frenzel). 19-21 Sep 2010: International Colloquium on Geoarchaeology (Landscape Archaeology - Egypt and the Mediterranean World), Cairo (Egypt): From lake to sabkha - Palaeoenvironmental studies in the Tayma oasis, NW Saudi Arabia (M. Engel, H. Brückner, P. Frenzel, A. Ginau, N. Klasen, M. Patzke, A. Hausleiter, R. Eichmann, M.H. al-Najem, S.F. al-Said). 13-16 May 2010: 5th Annual Meeting of the German Working Group on Geoarchaeology, Frankfurt: A stratigraphic transect from the old town across the sabkha - Implications for palaeoenvironmental change at the Tayma oasis (NW Saudi Arabia) (M. Engel, A. Ginau, H. Brückner, N. Klasen, M. Patzke, P. Frenzel, A. Hausleiter, R. Eichmann, M.H. al-Najem, S.F. al-Said). 01-05 Nov 2009: 2nd International Symposium & Field Workshop on Living with Landscapes, Damanhour, Marsah Matruh and Siwa (Egypt): An OSL and 14C AMS dating sequence sheds new light on the chronology of the city walls of ancient Tayma (NW Saudi Arabia) (M. Engel, N. Klasen, H. Brückner, R. Eichmann, A. Hausleiter, M.H. al-Najem, S.F. al-Said). 30 Apr - 02 May 2009: International Meeting "Geoarchaeology in Central Europe" in Dresden: The Tayma site (NW Saudi Arabia): Reconstructing the age of the western outer city wall (M. Engel, N. Klasen, H. Brückner, R. Eichmann, A. Hausleiter, M.H. al-Najem, S.F. Said, P.I. Schneider). 24-26 Apr 2009: 27th Annual Meeting of the German Working Group on Geography of Oceans and Coasts, Kiel: Geomorphic change, sea level rise, and the influence of extreme wave events at Lagun (Bonaire, Netherlands Antilles) during the Holocene (T. Willershäuser, M. Engel, G. Daut, V. Wennrich, M. Wille, H. Brückner, D. Kelletat, F. Schäbitz, A. Scheffers, S.R. Scheffers, A. Vött). (I) New age estimations for the western outer city wall of ancient Tayma (NW Saudi Arabia) based on OSL and radiocarbon data and geomorphologic evidence (M. Engel, N. Klasen, H. Brückner, R. Eichmann, A. Hausleiter, M.H. al-Najem, S.F. al-Said, P.I. Schneider), Geophysical Research Abstracts 11, EGU2009-4409. (II) The 7 ka pollen record of Akovitika: Key evidence for environmental change and human impact in the SW Peloponnese, Greece (M. Engel, M. Knipping, H. Brückner, J.C. Kraft, M. Kiderlen), Geophysical Research Abstracts 11, EGU2009-6471. (III) High-energy wave deposits at the eastern shore of Bonaire (Netherlands Antilles) (M. Engel, T. Willershäuser, A. Bolten, H. Brückner, G. Daut, V. Wennrich, D. Kelletat, S.M. May, A. Scheffers, S.R. Scheffers, F. Schäbitz, A. Vött), Geophysical Research Abstracts 11, EGU2009-8468. 25-27 Apr 2008: 26th Annual Meeting of the German Working Group on Geography of Oceans and Coasts, Marburg: Holocene sea level rise and coastline migration at the Messenian Gulf (SW Peloponnese, Greece) (M. Engel, H. Brückner, J.C. Kraft). 29 Sep - 6 Oct 2007: Deutscher Geographentag, Bayreuth: Mediterranean geoarchaeology: reconstructing the middle to late Holocene palaeogeographies of the Poseidon sanctuary of Akovitika at the Messenian Gulf, southern Peloponnese (Greece) (M. Engel, H. Brückner, M. Kiderlen, J.C. Kraft, M. Knipping). 19-21 May 2007: 3rd Annual Meeting of the German Working Group on Geoarchaeology, Regensburg: Geoarchaeological studies in arid environments: the case of the Tayma oasis, Saudi Arabia (J. Bosch, M. Engel, H. Brückner, R. Eichmann, T. Götzelt, A. Hausleiter, M.H. al-Najem, S.F. al-Said). 19-21 May 2006: 2nd Annual Meeting of the German Working Group on Geoarchaeology, Marburg: Geoarchaeological studies in the vicinity of the Poseidon sanctuary of Akovitika, Peloponnese, Greece (M. Engel, H. Brückner, M. Kiderlen, M. Knipping, J.C. Kraft). 27-29 Apr 2006: 24th Annual Meeting of the German Working Group on Geography of Oceans and Coasts, Wilhelmshaven: Built near the sea, buried by the river: the Poseidon sanctuary of Akovitika (M. Engel, H. Brückner, M. Kiderlen). 22-26 May 2018: 19th International Congress of Classical Archaeology, Cologne/Bonn: Coastal geoarchaeology in the Mediterranean - on the interdependence of landscape dynamics, harbour installations and economic prosperity in the littoral realm (together with Friederike Stock). 23-28 Apr 2017: European Geoscience Union (EGU) General Assembly, Vienna: Geological records of extreme wave events (together with E. Garrett, J. Pilarczyk, D. Brill, S.M. May). 17-22 Apr 2016: European Geoscience Union (EGU) General Assembly, Vienna: Geological records of extreme wave events (together with E. Garrett, J. Pilarczyk, D. Brill, S.M. May). 27 Apr-02 May 2014: European Geoscience Union (EGU) General Assembly, Vienna: Human-Earth interaction from the Pleistocene to the Anthropocene: state of the science and future direction (together with P. Tarolli, S.J. Kluiving, A. Larsen, V. Vanacker, T. Brown, A. Howard, V. Heyvaert, M. Jugie, H. Middelkoop, L. Lespez, M. Macklin). 07-12 Apr 2013: European Geoscience Union (EGU) General Assembly, Vienna: Where earth scientists meet Cleopatra: Geoarchaeology of rocks, sediments, soils and climate (together with S.J. Kluiving, A. Howard, V. Heyvaert). 26-30 Aug 2012: 32nd International Geographical Congress, Cologne: Morphodynamic response to episodic disturbances of coastal systems (together with H. Regnauld). 22-27 Apr 2012: European Geoscience Union (EGU) General Assembly, Vienna: Late Quaternary environments and societies: progress in geoarchaeology (together with H. Brückner). Graduation as Diplom-Geograph, Diploma thesis: "Studien zur Geoarchäologie und Paläogeographie in der Umgebung des Poseidon-Heiligtums von Akovitika (Messenien, Griechenland) seit dem mittleren Holozän", 214 pp.